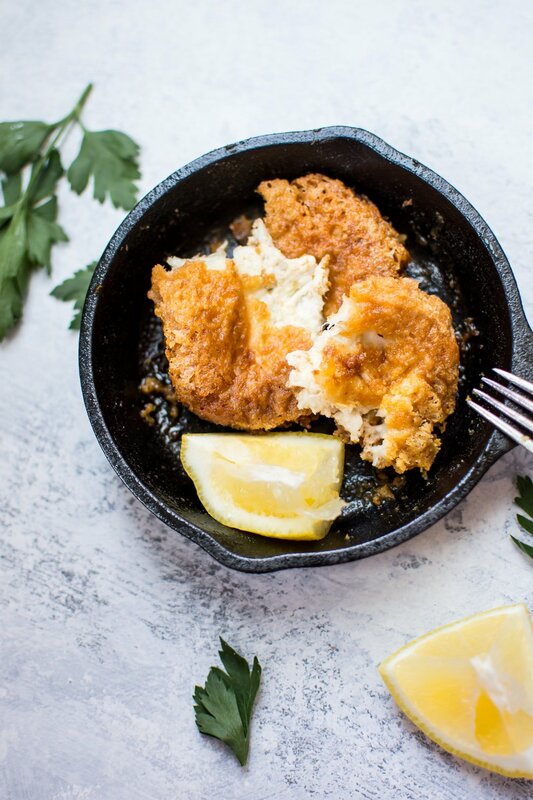 Saganaki (Greek fried cheese) is crunchy on the outside and melty on the inside. If you like cheese, you’re going to love this pan-seared Greek cheese appetizer. Ready in 10 minutes! 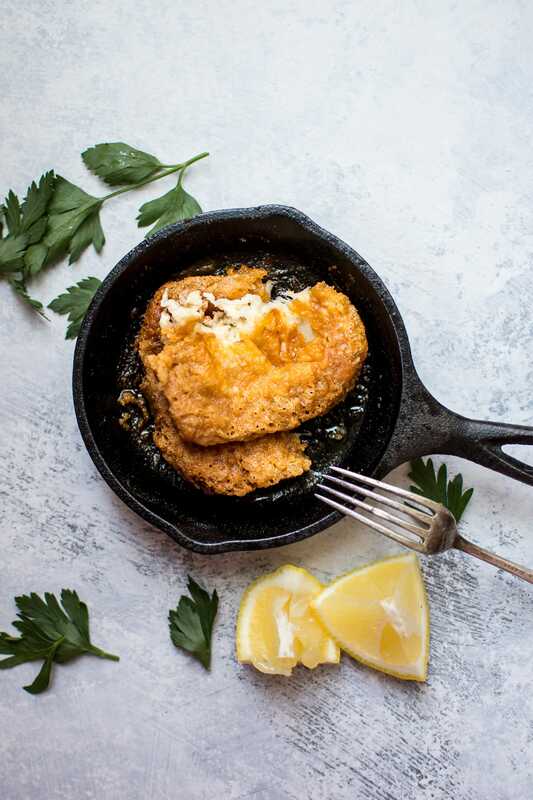 Saganaki refers to Greek dishes that are prepared in a small frying pan. The cheese is probably the best known, especially outside of Greece. I first had cheese saganaki in a Greek restaurant. I’m annoyingly picky about the kind of cheeses I like, so I’m not sure what exactly prompted me to try this. Anyway, I’ve been hooked ever since. It’s always spectacular (and slightly scary) when they flambé it at your table, but don’t worry – we’re not lighting anything on fire here. That part is optional at your own risk. It’s perfectly safe if you do it properly, but I am not going to suggest something that may burn your house down 🙂 Basically, you would add a little brandy after the cheese is cooked, and then flambé it before you squeeze the lemon juice on top to extinguish the flame. I was originally going to post a fried halloumi recipe, but I couldn’t find any at my usual grocery store, and I didn’t feel like driving around looking for it. What kind of cheese do you use to make saganaki? I found a cheese labeled as “saganaki cheese” in the cheese section by the brand Krinos. It’s a firm ripened cheese made from cow’s and sheep’s milk. I did some research and if you can’t find something like that, you could try other Greek cheeses such as kefalograviera, kasseri, or graviera. I think you probably would need to go to a more niche grocer to find any of those. The key to this dish tasting so good is squeezing on a lot of lemon juice and eating it when it’s hot. It gets hard quite quickly so it’s best enjoyed right in the pan, in my opinion. I’ve never been to a Greek restaurant that didn’t serve it right in the skillet. Will you try this Greek fried cheese recipe? A wonderful ooey gooey and crunchy Greek fried cheese appetizer recipe. In a small skillet, heat the olive oil on medium-high heat. You want enough oil that the bottom of the skillet is well coated. Once the oil is hot, add the cheese. Fry for a few minutes on each side until it's golden brown. It may stick a little, so use a metal spatula to loosen it and then flip it. Serve immediately with lemon juice squeezed over the cheese. If you wish, you can drain some of the oil prior to adding the lemon juice. If you can't find a cheese that's labeled as a saganaki cheese, try kefalograviera, kasseri, or graviera cheese. If using a cast iron skillet, let it heat up, and cook the cheese on medium heat since it retains heat so well. I have never tasted a SAGANAKI cheese. I bet it has the texture of a halloumi? Your recipe sounds so interesting. Pinning to try later. Cheers! Thank you!! It is quite similar to halloumi. Hope you like it! No it’s not like halloumi – which (although tasty & good for frying & grilling) I’ve always nick-named ‘squeaky cheese’ because it squeaks on your teeth and does not melt when cooked! The best saganaki cheeses do melt in the middle as you can see in your picture. The other cheeses you mention are the usual ones used plus on Lesvos we also use ladotiri. Fried cheese could be my breakfast, lunch, dinner, and dessert. And heck yes on the lemon. That little bit o’ acid goes so well with the cheese fat. Haha yes… clumsy and flaming alcohol don’t mix. I’ve been making this for years!! Saganaki or Kaseri works best for me! I use butter instead of olive oil! Always flambé with brandy and douse with fresh lemon juice! Very impressive yet easy to serve st parties! Definitely! It’s one of my faves ???? Kasseri is the standard “Saganaki” cheese. You really don’t even have to dredge it! Fry it in olive oil, flambe or not as desired, but do squeeze the lemon over it either way. It is Oh so very good! I’ve never heard of saganaki cheese. I am familiar with Kasseri, kefaloteri, and myjithra. I gather from some of these comments, that kassei is the right one to use? Hi Naomi! I would go with Kasseri cheese as the commenters recommend. 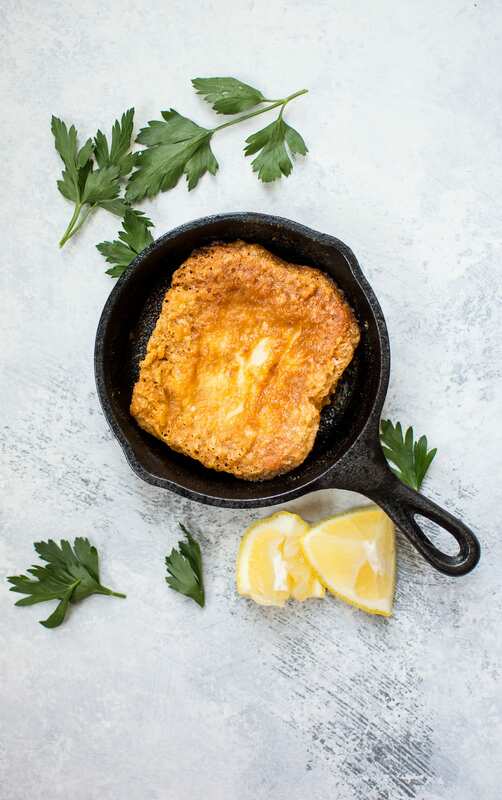 I’ve tried to make this recipe accessible to people who perhaps don’t have a Greek shop nearby, so I use the “Saganaki cheese” that’s available at my local Safeway. 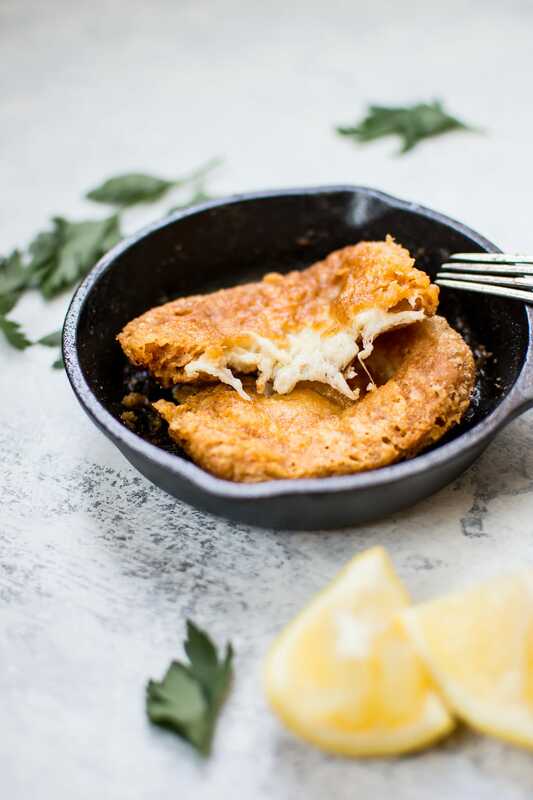 Saganaki can be made from quality cheeses like graviera, kefalograviera, or kaseri. Cannot be made with kefalotyri or feta obviously. The best and most used is kefalograviera. And correctly mentioned the traditional recipe calls for either cheese, water, flour, and oil. But do not use olive oil alone as it makes it heavier. However if you feel you want like or need olive oil for taste add only a little. Served with lemon wedges. You need a good quality oil and heavy frying skillet.. And don’t forget the ouzo!